For the last 16 years, Jean-Philippe Renaut has conceived and led projects in responsible investment and sustainability implementation. He joined Æquo in 2016 and a year later became its CEO. He is responsible for client relations, business development and operations, and leads specific dialogues with companies on behalf of Æquo’s clients. Based in London from 2005 to 2011, he worked with SustainAbility, a pioneer in sustainable development consulting. In Montreal, he was Senior manager at EY, and held the position of Director, Responsible Investment at PSP Investments. Jean-Philippe holds a Bachelor of Commerce degree (B.Com.) from McGill University, he co-founded the Cataléthique network and has taught in the management faculties of UQAM and McGill. He began his career as a management consultant in process analysis at CGI and subsequently earned a Master’s degree (M.Sc) in Development and Environment from the London School of Economics. 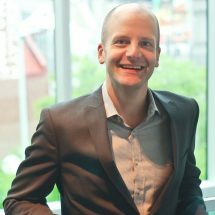 François is the Director of Corporate Engagement and a founding partner at Æquo. He is in charge of the shareholder engagement process and priorities. Before joining Æquo, he was Extra-financial Risks Manager at Bâtirente for nearly 10 years. François also worked several years in firms specializing in social and environmental rating of companies, including Sustainalytics, the Groupe Investissement Responsable and the Interfaith Center on Corporate Responsibility (ICCR). During his career, he has participated in several filed visits in Africa, South America, Asia and Europe to analyse how extractive companies approach social and environmental impacts. 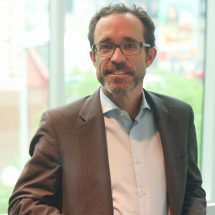 As a co-founder of different organisations and initiatives, François is a pioneer in the area of sustainable development in Québec and a regular speaker at conferences and events in responsible investment. 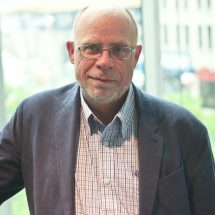 Arnaud joined Æquo as a collaborator in research and dialogue. Arnaud is an expert in ethics, sustainability and corporate social responsibility. He has gained his expertise as a consultant in this field, through advisory, training as well as research activities. His area of research includes business and ethics in private and public organizations, as well as risks and opportunities related to environmental, social and corporate governance (ESG). Arnaud holds a PhD in Sociology from the Université de Montréal (UdeM) as well as a Masters degree (M.Sc) in Political Sciences from the Université Libre de Bruxelles (ULB). 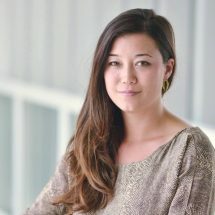 Anne joined Æquo as Director – Shareholder Engagement. Her role focuses on engagement with US companies and on specific consulting projects with some of our partners. As a corporate responsibility, communications and change management professional, she was part of the Corporate Responsibility (CR) team at PwC US and, more recently, in the biopharmaceutical field. She has developed expertise in responsible investment through various ESG disclosure and consulting projects in the real estate and technology industries. 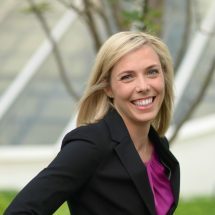 Originally from California, Anne holds a Bachelor’s degree in Political Science from the University of British Columbia (with a certificate from Sciences Po Toulouse), a Master’s degree in International Affairs and Management from the School of Global Policy and Strategy (UC San Diego), as well as an MBA from HEC Montréal. Josée Cavalancia is a business law lawyer specializing in civil and commercial litigation. She also has solid experience in the field of class actions. She now practices law at Belleau Lapointe after having acquired more than fifteen years of experience in the Norton Rose Fulbright and BCF Avocats law firms, representing SMEs and multinationals from diversified industries within the framework of cases brought before the courts or negotiations and mediation. Additionally passionate about management, strategy and governance, Josée is actively involved in various boards of directors. She currently sits on the Board of Directors of La Cordée Plein Air Inc., the La Cordée Scout Foundation and on the Board of Directors of the Junior Chamber of Commerce of Montreal. She also has experience as an entrepreneur in the restaurant industry in Montreal. Holding a Law degree from the Université de Montréal, Josée also holds a Master of Business Administration (MBA) from HEC Montréal. 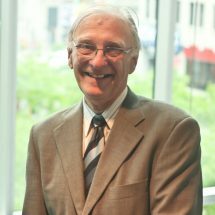 In addition to his current position as President of the Regroupement pour la Responsabilité Sociale des Entreprises (RRSE), since 2013 Robert P. Bélanger has been the Executive Director of the Congregation of Holy Cross, a religious community, since 1997. In this capacity, he is responsible for the ongoing management of the community’s interests and particularly the monitoring of its investments. As a professional chartered accountant, he has worked for more than 35 years with various companies, including listed companies, SMEs, social service agencies, municipalities, etc., including 26 years as a senior partner at Deloitte. As an active member of his community, Robert Bélanger was a municipal councillor of the City of Saint-Lambert for 12 years. He was also the founding member and president of the Museum of Costume and Textile of Quebec for eight years. Robert Bélanger graduated from the Faculty of Business of Concordia (formerly known as Loyola College). Involved in various boards, Normand is currently on the boards of Bâtirente, SSQ, Life Insurance Company and the Coopérative des techniciens ambulanciers de la Montérégie (CETAM). He was also a representative of CSN on the Conseil consultatif du travail et de la main-d’œuvre (CCTM) between 1988 and 1995. 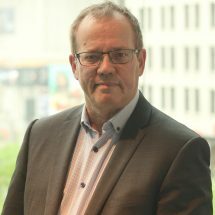 With nearly 40 years’ experience in the labour movement, Normand has been a union adviser for different CSN federations, including the paper, forest as well as the public services federations. He also served as the deputy to the Executive Committee of CSN for over 15 years. He has also worked as a coordinator and chief negotiator in the collective negotiations of the CSN public sector unions and underwriting manager at Fondaction. 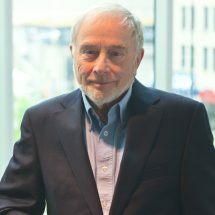 Norman began his career as an economist with different organizations. 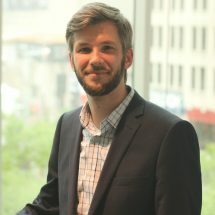 He holds a Bachelor’s degree in economics from the Université du Québec à Montréal (UQAM) and a Masters degree in economics from the Université de Montréal (UdeM). 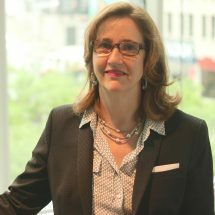 Hélène Jacques is a corporate director and strategy consultant with more than 30 years of experience in the financial sector, including institutional investment. A strategic and inspiring leader, she helped launch three companies in various sectors. Certified Corporate Director (ASC) and Chartered Director (C.Dir. ), Ms. Jacques has more than 10 years of board experience, including as President and Treasurer. She is currently a member of the Special Committee on Derivatives Regulation for the TMX Group. Ms. Jacques is very interested in everything related to responsible investing. She holds an MBA from HEC Montréal and is pursuing graduate studies on climate change. Daniel Simard is the Director and CEO of Bâtirente, a pioneer in responsible investment in Canada and one of the first signatories of the Principles for Responsible Investment (PRI). With over 25 years of experience in the area of finance, Daniel has also worked as a pension committee member and as a director of an insurance company. He was also a member of the Fondaction’s start up team, for the first five years of the CSN labour fund. He currently chairs the audit committee of a major municipal company pension plan. Daniel has served for 15 years in various capacities within the Confédération des syndicats nationaux (CSN), primarily as a negotiator and an attorney. Daniel was one of the elected representatives of assets owners on the Board of the Principles for Responsible Investment (PRI) from the foundation in 2006 to 2015. He is now the Chairman of the Steering Committee of the PRI Quebec network and the PRI Francophone network. Daniel holds a Bachelor’s degree (BSc) from the École de relations industrielles at the Université de Montréal (UdeM). Pierre Viau has been the Managing Director of the Regroupement pour la Responsabilité Sociale des Entreprises (RRSE) since 2007. Always committed to supporting different communities, Pierre has worked for many years within community education projects for young workers and immigrants. Before joining the RRSE, he held various positions in his community, more notably as provincial superior at l’Ordre des Frères mineurs capucins. Pierre graduated from the Université René Descartes (Paris, France), where he obtained a Masters degree (MSc) in sociology.